Tunnel: The population of Hataitai had been increasing at the end of the nineteenth century to the degree that residents had began demanding better access to the city. The Hataitai tram tunnel was officially opened to the public in 1907. Kowhaiwhai (scroll design): This is based on the ‘kowhai ngutukaka’ – the scarlet Clianthus, also known as the ‘red kowhai’ or ‘kaka beak’. The Electric Tramcars shield: When looking at the Hataitai tunnel from the city side there are two shields (similar in shape) in the stone, one on either side of the tunnel entrance. The light bulb symbolizes electricity and the banner ‘The modern way to travel’. 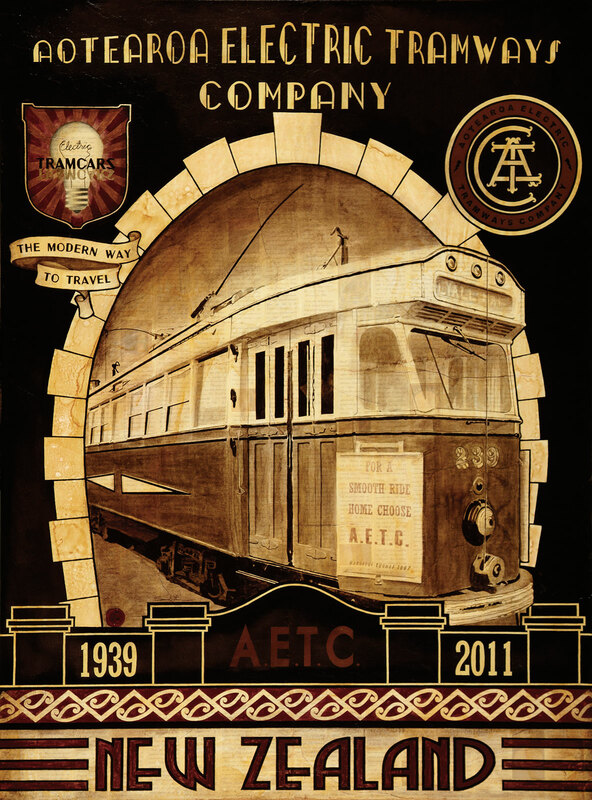 Electric Tramways Company logo: Based on the Auckland Tramways logo representing another part of New Zealand.